This Dunroven tea towel is a blue and white plaid with narrow yellow lines. The towel is made from 100 percent cotton. 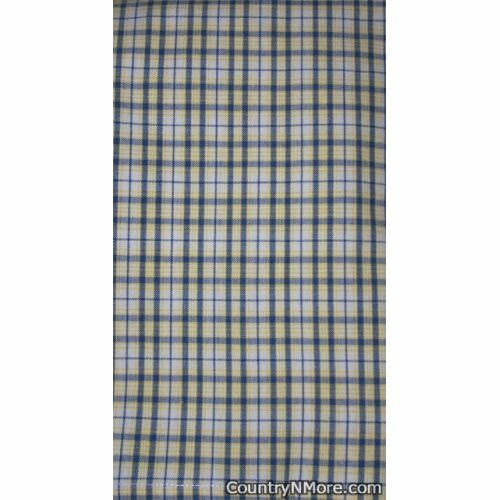 This Dunroven towel measures 28 inches long by 20 inches wide.